Aside from the commercially available methodologies such as Prince 2 and Rational Unified Process, there are many methodology developed to suit individual organisations. This white paper sets out to provide a better understanding of methodologies, and how they can be developed and implemented. You will notice there is nothing mentioned about requirements or testing or vendor selection. That is part of an Applications Development Methodology or Software Development Methodology. A project management methodology says projects should be broken down into phases and there should be a plan in place before each phase begins. An application development methodology says what the phases are, and what activities should be undertaken in each phase. A project management methodology says define roles and responsibilities. An application development methodology defines what the roles and responsibilities are in the development phase. A project management methodology says a budget should be put in place and managed. An application development methodology says what the account codes for a development in your organisation should be. "Could you put other meat on the same bones?" For example, you might have a package selection methodology which could plug into the project management methodology and fit just as well. The difference is that it is a different set of activities, roles, responsibilities, risks, etc. It is important because any organisation should have a consistent project management methodology in place which is common to all types of project. In this way, people can move comfortably from applications development, to infrastructure roll out, to software selection to even relocating to new buildings using the same approach. Training people in project management can take place prior to them learning how to do a development, or select software or even to do some ad hoc project that does not have a defined methodology. People need to know they should manage scope, and how to do it. They need to know how to set up a budget and manage it. They need to know how to do a risk assessment and manage risks. Another area of confusion is that people get mixed up between templates and methodologies. When you ask people if they have a methodology, they say "Yes. We have some templates." A typical evolution is for an organisation that has no common way of doing things to develop templates in order to get some consistency in how things are presented. In fact you are saying "Here is a checklist of things you need to consider". The next stage is to add some instructions in the template which explain what each section means. Alternatively they might create a template user guide. Finally they may develop a process or methodology which tells people how to get the information that ends up in the template. There is often confusion between templates and process. Templates are used for the collection of the output of the process. Meet with Microsoft and discuss any security patches that may need to be distributed with the software. If only a template is available, the person filling in the template might know nothing of the activities above. The entry might read "Not applicable to this project". This is the difference between a template and a process or methodology. What should a methodology cover? Governance What authority is applicable? This may include approvals, gates to be passed, mandatory activities and sign-offs. Any methodology is not the way all projects will operate. It is a best fit. There will be variations for very good reasons. That is not to say it is variable at the whim of each team. There needs to be some guidance provided as to what is the sensible pragmatic approach for each project. Gartner research found that a methodology applied loosely could improve productivity by 30%. Applied rigidly it improved product by only 10%. It should be a help to the project, not a hindrance. If you want to have your organisation use a methodology, there needs to be some champion who people have access to for help. Creativity should not mean "I will make it up as I go along". It should mean "I have a mechanism to recognize problems and use my creativity to solve them". In a project creativity needs to take place within a controlled environment. Unless there is a structure in place, the hundreds of evolving details and problems cannot be managed. Any of us who have worked in a number of organisations usually do. The reason to use the company's methodology is that everyone else is geared up to operate within that methodology. It will cause confusion to everybody but you if you use your own process. A company should have an area responsible for reviewing and improving methodologies. That is the venue to promote a new methodology. If not why not. What components are applicable, and how can other processes be included to link those together. 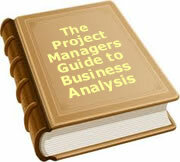 Going back to the project management methodology, what new activities, roles etc. need to be developed. Treat it as a checklist. If something is not applicable, justify why and make a comment. It might be a situation like the security issue mentioned earlier where the person just does not understand the process properly. Firstly ask what information is being duplicated? Sometimes a slight rearrangement of information may result in a "refer to document x" solution, or a cut and paste. Secondly, it is cheaper and easier to throw away paper rather than code. Programmers love to get their hands on the keyboards, but it is more efficient to build something on paper before you build it in code. Thirdly, examine each document and see if it is really needed. I did this exercise with a CFO who made a comment about the amount of paper we were generating. After we went through about ten documents he had on his desk, he had found a reason to receive every one of them. It was just he was not used to seeing agendas, minutes and weekly reports. A methodology is not a series of templates. It is a process that needs to be adapted to suit each situation. There needs to be someone who teams can talk with - someone who will mentor the teams in the use of the methodology. One of the most successful implementations of a methodology I have been involved in is a government department. They have a full time methodology coordinator who trains, works with teams, and builds their feedback into the methodology. Feedback is also important. The methodology will not stand still. It will evolve and become more applicable to the organisation. As such, there needs to be a mechanism in place to cater for "learning from experience". Take it step by step. A massive change to the way people work is not as likely to succeed as incremental change. If your goal is to have people produce a plan for every phase, start by having them produce some sort of standard plan for the whole project. If you decide to introduce three gates for approval of funds, introduce them one at a time. You will probably find after the first gate is in place, your experiences will indicate that you need to slightly change the process for the other two gates. Availability is another issue. Asking people to read a 400 page manual will not work. Giving them some high level training, and presenting information in a format where they can find the bit that is relevant to what they are doing right now has more chance of success. A well structured, web based presentation is a must. People need to be able to drill down in a few clicks to find out what is relevant to them at the moment. Training them on the layout of a methodology web site is likely to have more impact then training them on the detail of the methodology. Putting some templates in place is a nice first step, but it is not a methodology. Make sure you understand the difference between templates and process. Also understand the difference between a project management methodology and other methodologies. To a lot of people methodology is a dirty word. It means bureaucracy, paperwork and constriction. You need to overcome this by providing support and flexibility in how it is applied. I have yet to see a methodology succeed by just presenting people with a series of books and templates. Finally, learn to walk before you run. Introduce simple steps into the methodology first, and leave the more complex until later. Understand you are trying to change the way people work and think. There is bound to be resistance. Turn the ship slowly or you will find yourself making little or no progress. To date, 577 people have rated this article. The average rating is 3.91 - Add your rating. Just select a rating and click the button. No other information required.